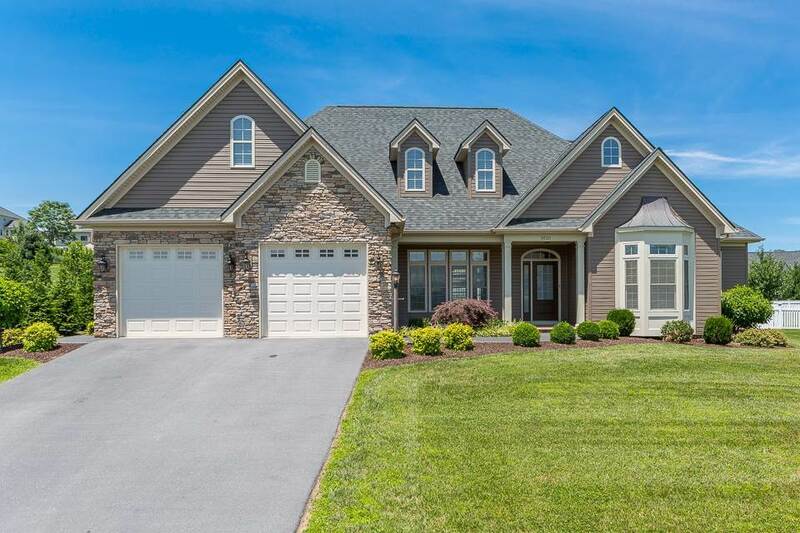 Welcome to lovely Magnolia Ridge, with breathtaking views of Massanutten Peak and the convenience of being minutes away from Lakeview Golf Coarse, RMH, JMU, shopping and swimming. Enjoy an evening walk to Lake Shenandoah on the dedicated waking trail! Quality and craftsmanship abound in this custom built Ranch home, built by a well respected builder for his family. You will appreciate the thoughtful features and upscale finishes in this beautifully maintained home. Some of the features include 9' ceilings that enhance an open floor plan, granite counter tops throughout, pantry, dream laundry with a second fridge, tray ceilings in bedroom, walk-in closets and much more.